Back in February,developers Overkill Software announced that a sequel 2011's PayDay: The Heist was in development. The followup, PayDay 2 finally received it's release date and surprise! It's next week. Overkill Software announced that the Steam version of the game will be releasing on August 13th, while the PS3 and Xbox 360 will get their version of the unique first person shooter between the dates of August 13th and August 16th in a blog post to the Steam community. 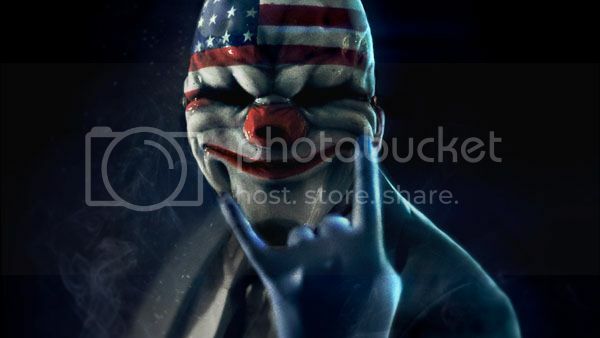 Also confirmed back in early May was that both the PS3 and Xbox 360 versions of PayDay 2 will be releasing digitally and in retail stores, however Overkill has yet to make an announcement regarding pricing on the digital download of the game. The retail version of PayDay 2 is priced at $39.99. I still don't know what to think of this one. I really disliked the first one, but it looks like they improved on things a lot. Guess I'll have to watch some people play and find out.